Oh, the delights of discovering a new city! Languages and accents dance in our eardrums, streets and alleyways become places for enticing expeditions, and unknown aromas arouse our senses. 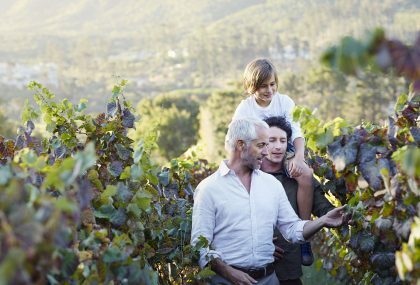 Why dilute this exploratory experience by piling into a typical ‘been-there-done-that’ tour bus? 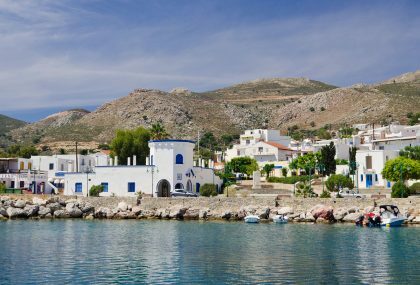 Toss the tourist map and try some of these alternative ways to explore familiar holiday destinations to re-awaken your sense of excitement. 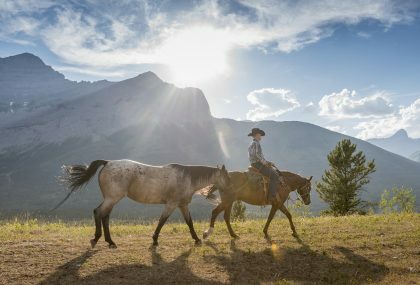 Vancouver’s stellar weather, pristine natural landscape and prosperous communities land it on the ‘world’s best’ lists year after year, and has rightfully garnered it a top spot on travellers’ must-visit checklists too. To get a feel for the dense scenery hemming the city, arrive in a leisurely, old-fashioned way – via train. And not just any train – caravan into Vancouver on the Rocky Mountaineer (lead image). The Rocky Mountaineer traverses the Pacific Northwest, British Columbia and Alberta, connecting passengers to major cities and towns in each region. During the journey to Vancouver, Rocky Mountaineer riders are embedded into the surrounding woods, rivers and ranges; sometimes you can spot a glimpse of local bears, moose and other wildlife. Then Vancouver unveils itself, contrasting the terrain with its glass and metal skyline. 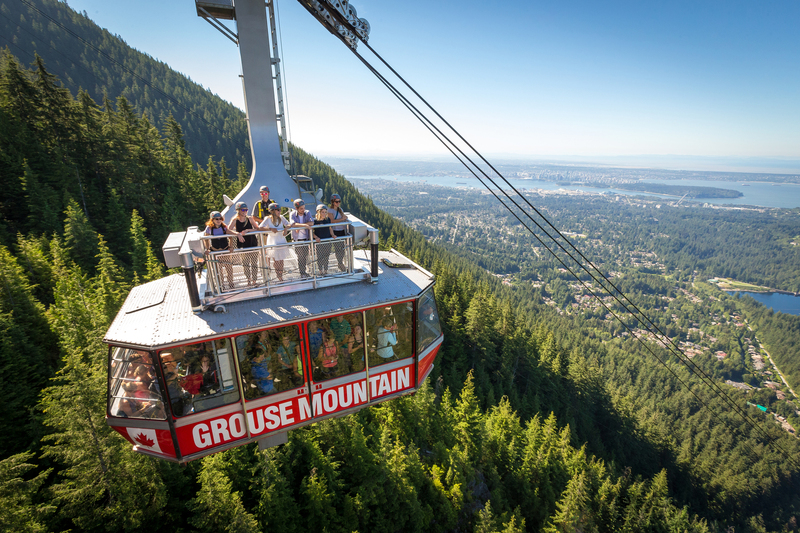 After arriving at eye-level, you can take Vancouver in from an eagle’s eye view on Grouse Mountain’s aerial tramway Skyride, a 15-minute drive from downtown (pictured above). As North America’s largest aerial tramway system, Skyride ascends for 853 metres (2,800 feet) and offers 360-degree views of the natural landscape and cityscape. During the summer months, Skyride Surfing Adventures gives fearless travellers the opportunity to take an al fresco journey, standing on top of one of the trams as it rides up the peak. A guide joins guests on the platform to point out local landmarks and natural treasures. If surfing the sky is a bit too adventurous for you, Grouse Mountain’s The Eye of the Wind viewPOD, a 360-degree glass-enclosed viewing platform that sits 57 metres (187 feet) up a functioning wind turbine is an equally spectacular option. Miami and Miami Beach may be the lands of derrière-baring beaches and tireless nightlife, but they’re also home to a prolific street art scene that is deserving of global applause. Just over the beach causeways and north of Downtown Miami lies the Wynwood Arts District, a former warehouse hub reimagined as a mecca of outdoor murals. While tourists are often spotted peering over the double-decker buses or flooding the sidewalks, there’s another way to witness these vibrant displays in a very unique way – à la Cycle Party. Cycle Party is a fleet of oversized bikes seating multiple riders who serve as the diligent peddlers powering the vehicle (pictured above). A ‘driver’ tour guide steers the wheel, weaving the group through the streets and narrating the neighbourhood’s backstory of artistic scenes and murals. Take in the colourful waves of floor-to-roof paintings that decorate entire exteriors of art studios; plentiful outdoor art installations; and an overall trendy, creative vibe unlike any other. 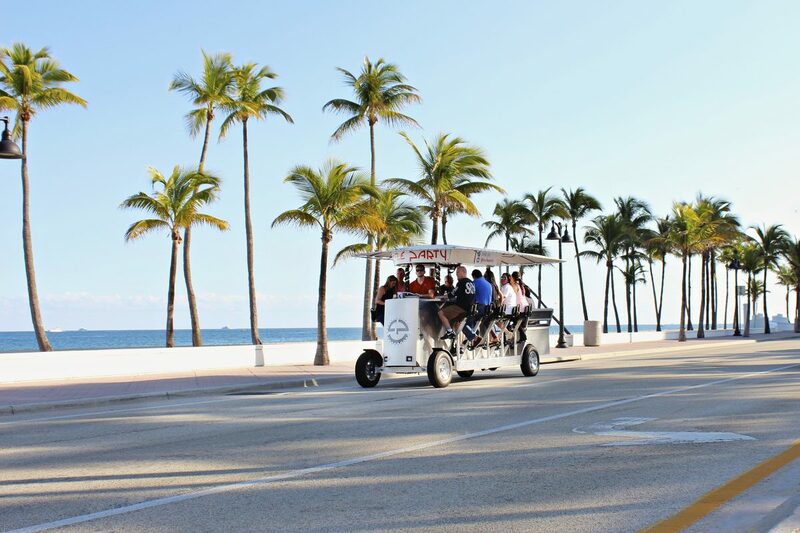 Cycle Party’s Wynwood route runs seven days a week, twice a day, and visitors can opt for single-seat purchases or private group rides. In addition to the chance to get to know Miami from a new perspective, the quirky Wynwood ride also includes a pit stop for a quick pastry, coffee or beer, and a light lunch. 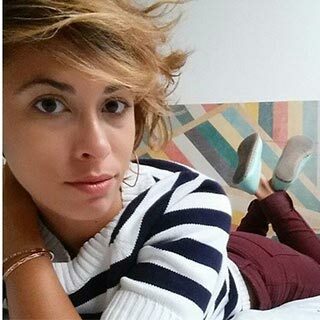 This way, visitors get to experience the lively vibe that Miami is known for, during stops at local hotspots, as well as getting to experience a little art culture along the way. As Australia’s second-largest city, Melbourne beckons all types of travellers – from bar hoppers and beach goers to shoppers and market devotees. Tourists and locals often travel by tram, buzzing to and from the bustling beaches in the St Kilda suburb or bobbing along the iconic Yarra River. 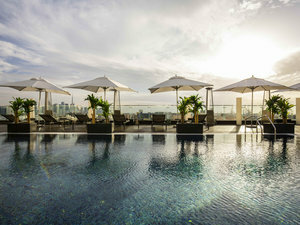 Still, for an unparalleled view of the city, grab your gusto and go up – way up! – into the sky, in a hot air balloon, for a truly unique Melbourne experience (pictured above). 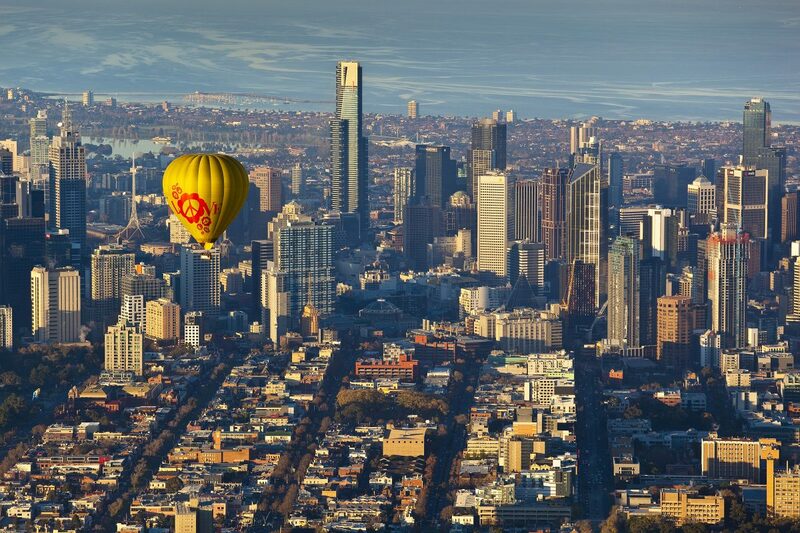 Melbourne is one of few major cities in the world that allows hot air balloons to hover over the metropolitan area. From a floating basket vantage point, passengers have the rare opportunity to take in 360-degree views of Victoria’s capital. Look out for landmarks like Port Phillip Bay and the Eureka Tower, and wave to the travellers exploring Melbourne by foot below. 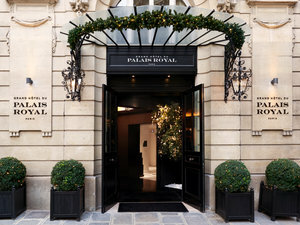 Many tour operators take off in the early morning hours to catch the city as the sun rises, while others may offer private, customisable options and hotel pick-ups. If you opt for a sunrise soar, consider adding a little bubbly to take the scenic journey to a luxurious level. On average, a Melbourne balloon flight lasts about an hour, so once you disembark you’ll still have a full day to explore the parts of Melbourne that caught your attention from the sky. 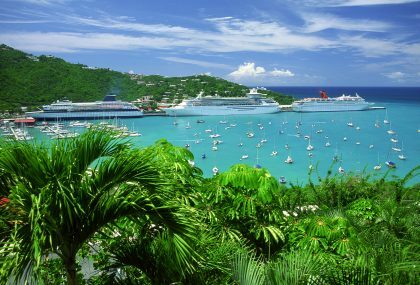 When travellers daydream of a surfing holiday, it’s likely that destinations such as Costa Rica, Hawaii or Puerto Rico come to mind. But scratch everything you thought you knew about cool surfing spots, grab your surfboard and book your trip to Germany for an experience unlike any you’ve ever imagined. Munich, a landlocked city that’s many hours from a coastline, has actually developed a dedicated river surfing following worth getting involved in. If you need to see it to believe it, head to the Eisbach River that flows through part of the Englischer Garten (English Garden), one of the largest urban parks in the world. The Eisbach River has a man-made rapid, known as the Eisbachwelle, near one of the park’s bridges where rushing water has created the perfect wave for professional surfers (pictured above). Surfing the Eisbachwelle is not encouraged for beginners (as the river is narrow and rocky), so you’ll find expert surfers here with a sharpened skill set. Dozens of experienced participants in wetsuits line the riverbank year round for a chance to drop in. If you’re not well-versed in surfing, don’t fret – it’s just as exhilarating to observe. Grab your camera and picnic gear, take in the excitement, then set off to explore the expansive park when you’re finished. 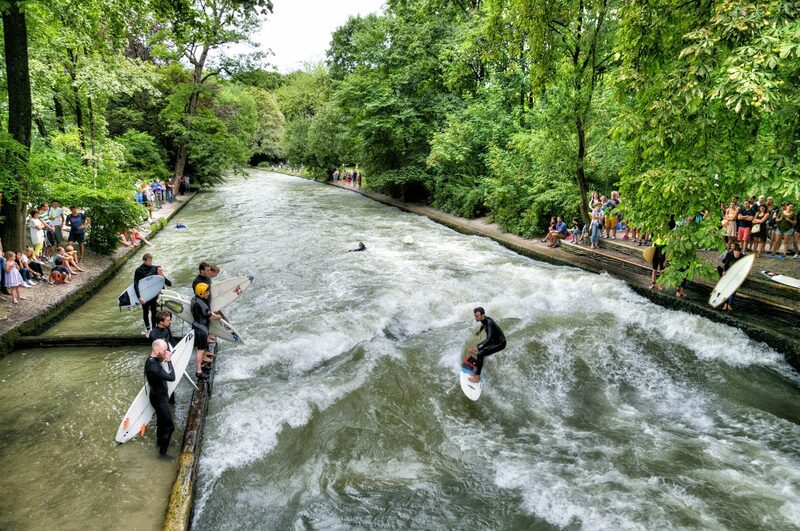 About 8 kilometres (5 miles) southwest of the Eisbach surfing spot is the flowing Floßlände canal, a tamer and wider surfing spot compared to the Eisbach. Those brave enough to try river surfing ought to start on Floßlände, although conditions here are best and busiest during the summer months. If you’re ready to get to know your favourite cities on a new level, search your dates and you’ll be on your way before you know it.